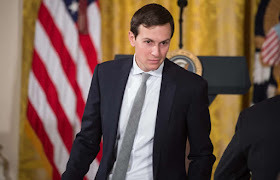 President Donald Trump’s son-in-law Jared Kushner visited Iraq Monday with the top US military officer to meet Iraqi leaders and review the fight against the Islamic State group, officials said. The visit comes as Iraqi forces battle to retake Mosul from IS with support from US-led air strikes that have recently been criticised for causing civilian deaths in the city’s west. General Joseph Dunford, chairman of the Joint Chiefs of Staff, asked Kushner and White House homeland security adviser Tom Bossert to accompany him on the trip, Navy Captain Greg Hicks said in an emailed statement. “General Dunford invited Mr Kushner and Mr Bossert to meet with Iraqi leaders, senior US advisors, and visit with US forces in the field to receive an update on the status of the counter-ISIS campaign in Iraq and Syria,” Hicks said, using an acronym for the Islamic State group. “As well as receiving briefings and updates, Mr Kushner is travelling on behalf of the president to express the president’s support and commitment to the government of Iraq and US personnel currently engaged in the campaign,” he said. “Mr Bossert is travelling in his role as assistant to the president and will participate in meetings and briefings to reinforce the strong US-Iraqi partnership to defeat ISIS,” he added. 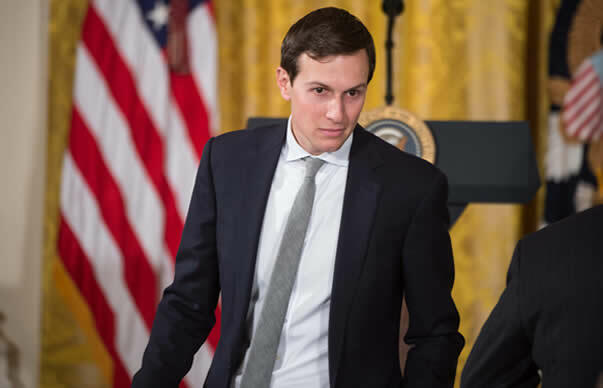 Dunford and Kushner would meet with Iraqi Defence Minister Irfan al-Hayali during the trip, ministry spokesman Colonel Laith al-Nuaimi said. “They arrived in Baghdad and will hold a meeting with the defence minister,” Nuaimi told AFP. Officials from Prime Minister Haider al-Abadi’s office and the foreign ministry declined to comment on the visit. The United States is leading an international coalition that is carrying out air strikes against IS and providing other support to forces fighting the jihadists in Iraq and Syria.